The pre-rendering of content helps in better SEO management as well as in faster browsing. The huge development over a large period of time has made the framework more stable. Programmers feel more confident while adopting this framework because of Google. This is another sturdy framework created by Facebook. It is among those initial frameworks which were very well written. The constant growth and high adoption suggest that finding competent and efficient React developers will be an easy task. JSX adoption allows for component restructure which will eventually compile into React JS when we talk about running on the server. This will help in the creation of more dynamic and an attractive set of HTML pages and that ultimately matters. React Native provides a seamless mobile experience which can be paired alongside React application. The opinionated practices make it easy to deal with the framework, with just one condition, abide by its structure. The command line interface for Ember.js opens up a package “ember-cli” which opens a plethora of possibilities for the developers to add into Ember’s app dev toolkit. The Ember inspector is used for easy inspection of objects when you do F12. This feature can be used in both cases when you are developing or debugging. Ember.js is a great tool to see action in the shortest timeframe and is also a good fit for troubleshooting issues. Frozen set of requirements and a defined set of development practices are the right combination for adopting this framework. 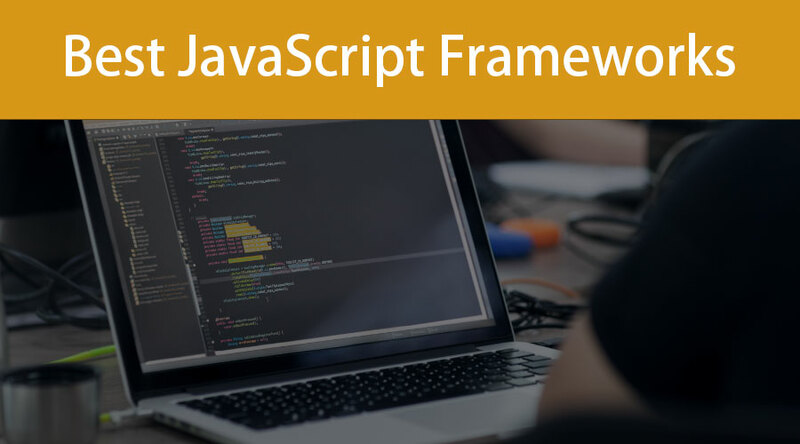 This framework is composed of component level modules, which gives developers the flexibility to choose the pieces which they want to work upon. It also provides them with the facility to use the framework in its entirety. It is a modern kind of an app development framework which pleases its stakeholders by showing its modular infrastructure. There is not much time needed to learn this framework. It is quite easy to work upon. Therefore developers get more time to write a productive piece of code without wasting much of their efforts. It makes use of MV* architecture and ensures to prevent any kind of unnecessary configuration. It supports TypeScript, ES 2015, ES 2016 and ES5 gives it the flexibility to be used in a wide variety of applications. Its maturity ensures that many bugs have been fixed already and it is by far among the most secure and stable framework to work upon. Moreover, community support and the resources provided are solid. It doesn’t force any template engine and that is solely on the discretion of the developer. However, the underscore is provided as a dependency feature which can be the easiest choice for templating.